Doing things with words can create an ought that was not there before: Jones makes a promise, a master orders a slave. With the former example, Searle 'derived' an ought from an is. With the latter, Lewis showed that permissibility follows a 'rule of accommodation'. The parallel between promise and order suggests that norms, good and bad, can be got from speech acts by accommodation: what is said 'requires and thereby creates' what is required, given certain conditions. Authority is such a condition: of a slave master, a desert island leader, a doctor, a quack doctor, a father, or a presidential candidate who 'normalizes' a behaviour. Authority can be pre-established, or gained by accommodation. It can be practical, or epistemic. It can belong to the speaker, or be outsourced. These cross-cutting distinctions allow for weakened authority, but a power to enact directives remains. Hearers can assist: in a two-part process, hearers accommodate presupposed authority, which in turn accommodates a speech act, creating a norm. As hearers we may need, sometimes, to stop helping. 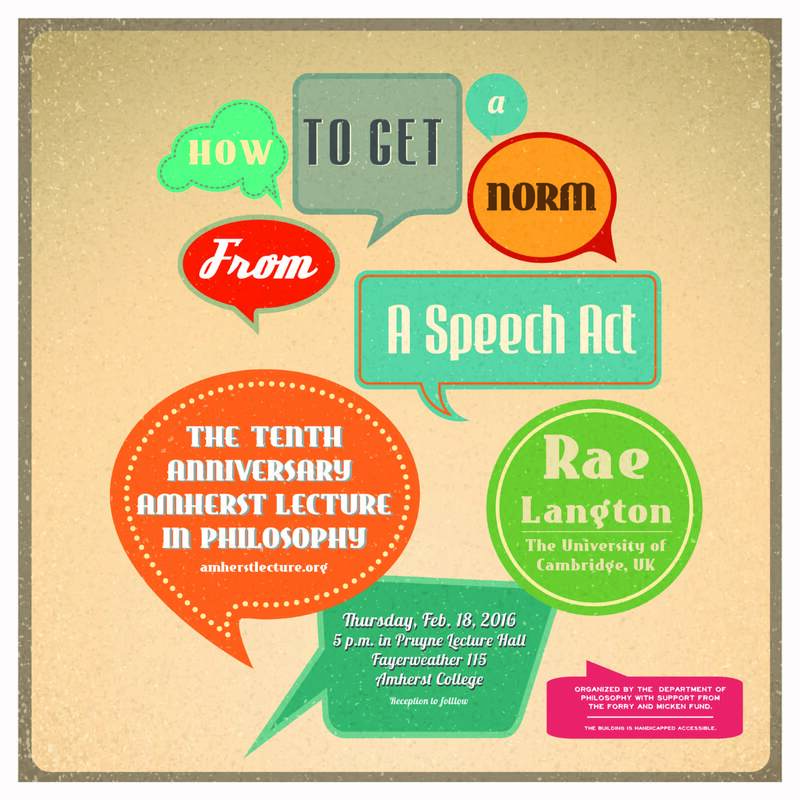 Langton, Rae “How to Get a Norm from a Speech Act.” The Amherst Lecture in Philosophy 10 (2015): 1–33. <http://www.amherstlecture.org/langton2015/>.